As a small (but mighty) team, we rely on the contributions of paid interns to accomplish our work. This week, we’re excited to welcome our new Council intern, Zach! Zach is a graduating senior at Hamline University, where he is completing his BBA in Global Business with German concentration and a minor in Nonprofit Management. Originally from Chicagoland, Zach has spent his undergraduate career between the Twin Cities and Germany. 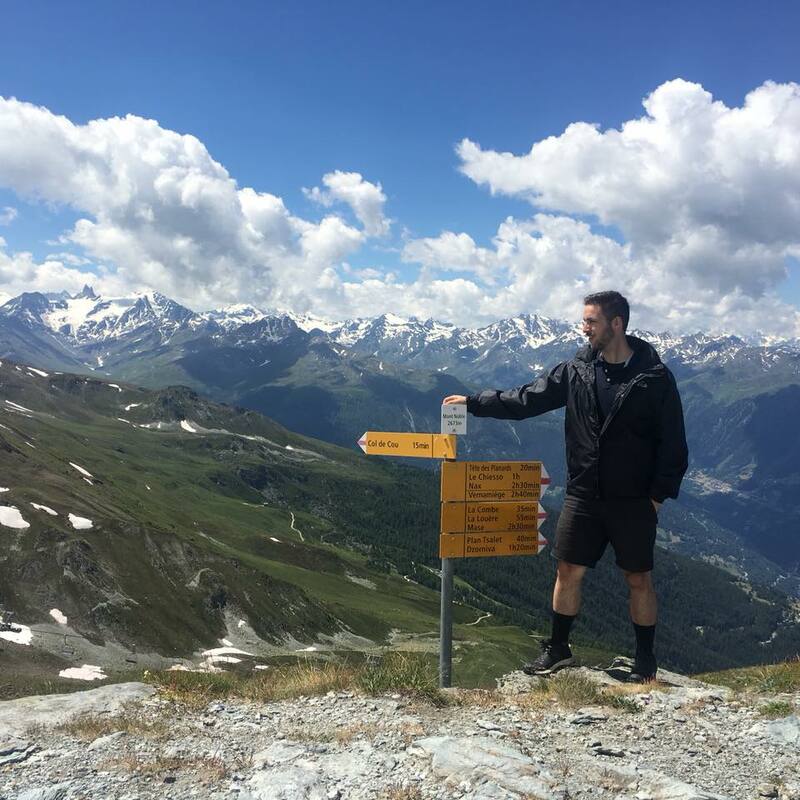 He recently returned from Saarbrücken, Germany after a year studying and interning abroad with the Congress Bundestag Youth Exchange for Young Professionals. After exploring his passion for theatre and arts administration through coursework and internships, he is excited to engage and foster the larger nonprofit community by assisting them through the Accountability Wizard® nonprofit review process. To get to know our new intern, we sat down with Zach to talk Charities Review Council, favorite Twin Cities nonprofits, and silly German sentences. What excites you about interning at Charities Review Council this fall? From the start, I can see how much the Council values their interns, and I’ve had great on-boarding experiences and Accountability Standards® trainings with even more professional growth opportunities to come. I am excited by the Council’s new strategic plan and the opportunity to grow alongside the Council and provide value wherever possible. After my previous time abroad, I look forward to getting back into the Twin Cities scene and supporting this great team. Nonprofits to me are the placemaking force in a community to create a space for discussion and action. I’ve volunteered with Meets Standards® nonprofit Minnesota Museum of American Art in the past, and I am thrilled to watch them expand their gallery space in downtown St. Paul. Their new presence makes Lowertown a great arts destination and provides a space for local artists to be showcased in their community. As a former intern, I am a fan of the Hennepin Theatre Trust and love their work beyond presenting Broadway performances. I had the opportunity to work in the (now closed) New Century Theatre, but I loved working in such a creative, community-focused environment. Many don’t know, but the Bob Dylan mural on Hennepin was even coordinated by the Trust. I went to a burger restaurant in almost every European city I visited during my year abroad- I’m a big fan of trying new restaurants! I like to say, “I get to know a city by eating it,” and then I have to spend enough time in the gym to make up for it. Beyond that, I love going to market halls like the new Keg and Case or grabbing a coffee with friends. We hear that you can speak German, care to share a fun sentence? This is my favorite saying from the state of Saarland, where I lived for 10 months: der Schwenker, der den Schwenker am Schwenker schwenkt, schwenkt den Schwenker. Try saying that five times fast! We’re thrilled to have Zach with us this fall! Join us in welcoming Zach to the Council team by sending a quick note (and restaurant recommendations perhaps?) to zach@smartgivers.org or connecting with him on LinkedIn.